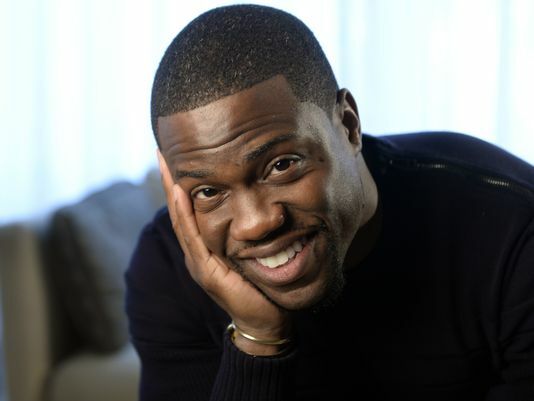 Kevin Hart is America’s current leading funnyman and star on the rise. As an actor, comedian, writer, and producer, he pretty much does it all! Raised in a single-parent household, he rose to stardom from humble beginnings and really made something of himself. His father, a cocaine addict, was in and out of jail throughout most of his childhood. Hart used his natural ability to make people laugh as a coping mechanism to deal with his family drama and to stay off the streets. After everything that he had to endure as a kid, his recent success has definitely been well-earned (professionally and personally). Hart began his career by winning several amateur comedy competitions at clubs throughout New England. His first real break came in 2000, when he was cast by Judd Apatow for a recurring role on the TV series Undeclared. The series lasted only one season, but he soon landed other roles in movies like Paper Soldiers (2002), Scary Movie 3 (2003), Soul Plane (2004), and Little Fockers (2010). His comedic reputation continued to grow and flourish with the release of his first stand-up album I’m a Grown Little Man (2008), and performances in the films Think Like a Man (2012), Grudge Match (2013), Ride Along (2014), and About Last Night (2014). All awesome movies, by the way! He also released two more comedy albums, Seriously Funny in 2010 and Laugh at My Pain in 2011. He currently stars as himself in the lead role of Real Husbands of Hollywood. OMG, one of the funniest shows on television today, I highly recommend it for a weekly dose of comedy! Back in August, Hart got engaged to long-time girlfriend, model Eniko Parrish. My mother and I are some of his biggest fans, and we‘ve seen pretty much almost everything that he’s been in. I’m hoping someday to get the opportunity to see him live, and maybe even get his autograph. Support Kevin Hart by watching his show (Real Husbands of Hollywood) and going to see his movies!